If you are looking for an authentic Chinese restaurant in Robinsons Place Manila that’s quick snack without spending too much, perhaps you should try Mai Fei Wang. Located on the ground floor of Robinsons Place Manila, they offer a variety of Chinese delicacies at a very affordable price. Last December 27, my friends and I decided to try it for ourselves. The place looks like the typical food outlets you see in malls – it’s well-lit, clean, not too spacious but well organized. Their kitchen walls are made of transparent glass so you can actually see your food being prepared, it’s very reminiscent of those restaurants you’ll see in China. As mentioned, their food are very fair-priced, their prices ranges from Php80 to Php445 for the food and Php50 to Php90 for their drinks. The only thing I found to be quite priced too high is their bottled water at Php50, however this is very common for almost all food stalls in malls. Very curious and excited, we ordered everything that’s on their Ala Carte menu. For starters, you will never go wrong with their Chinese fried chicken. 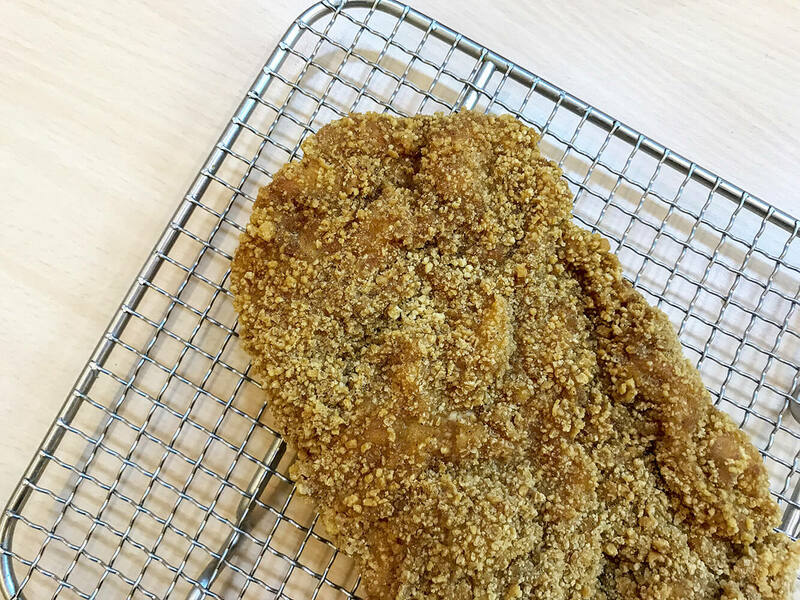 It’s big, crispy on the outside but very tender on the inside, and not to mention, it’s really full of flavor. You can order their regular sized one for Php165. Or you could take on their XL which according to their menu weighs 350 grams for Php320. Their Shao Bing Sandwich is not your typical sandwich. 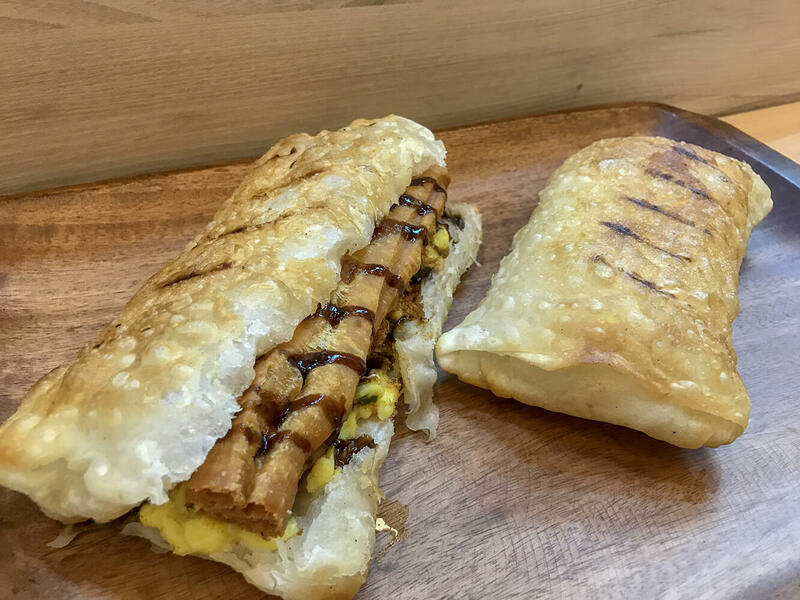 The bun is a flaky (in a good way) flat layered bread, it’s filled with pork floss, scrambled egg, green onions, you tiao (Chinese doughnut), and Taiwanese sauce. This one is really good especially how the Taiwanese sauce complement with the other flavors. The creamy and soft texture of the scrambled egg also goes very well with the flaky bread and the crispy pork floss. You can also add fried chicken to it for only Php35. 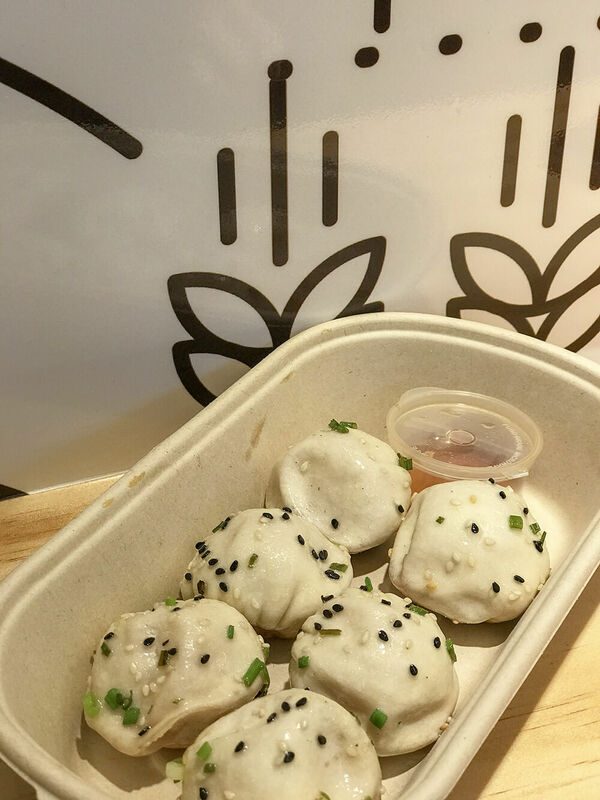 Their Sheng Jian Bao is our personal favorite. We loved it so much we had to order another one. It is very similar to the Xiao Long Bao but way much better. 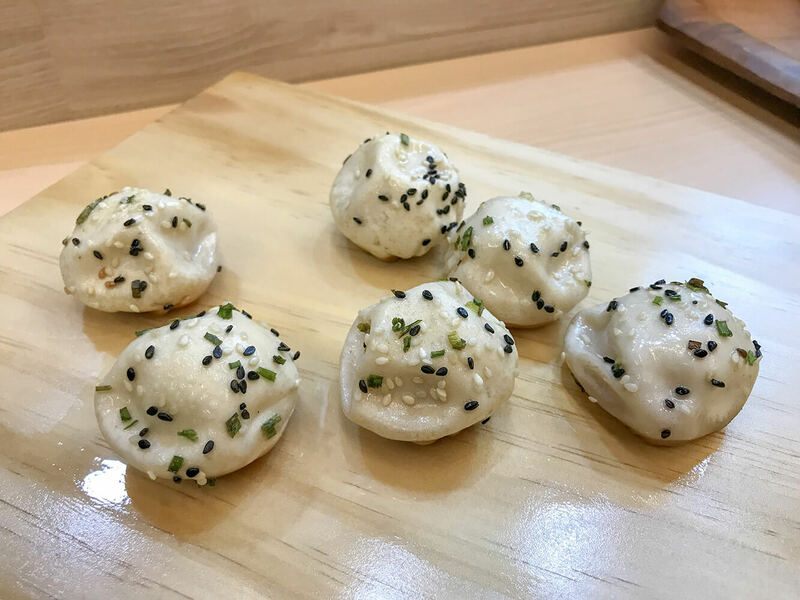 It is a pan-fried pork soup dumpling that comes with black vinegar sauce. This is one is literally bursting with flavor, literally because of the delectable pork soup inside. Just be careful when you indulge in this one, the soup inside is hot and might burn your tongue. You can eat them on their own but the black vinegar sauce takes it to another level bringing out more flavor to it. 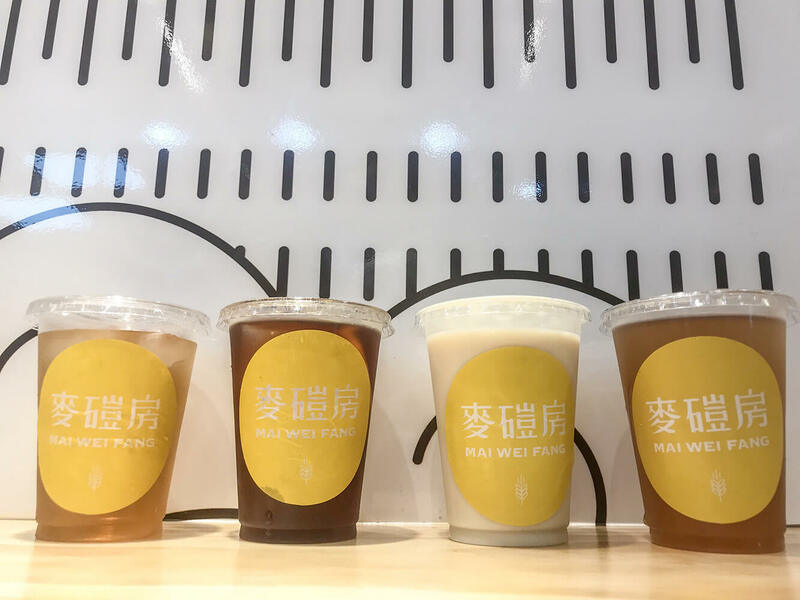 In terms of their drinks I personally like their Premium Soy Chilled Milk and their Premium Winter Melon Chilled Tea. The sweetness and smoothness of these two just complements really well with all the savory dishes we ordered. It taste authentic, not like those bland ones usually sold at other milk tea shops. Both are reasonably priced at Php75 for the 12oz. and Php90 for the 16oz. They also have Premium Chinese Ice Lemon Tea for a more refreshing treat. Or you can order their beer in can for some happy hour. Overall, we really enjoyed ourselves and our gastronomic cravings are definitely satisfied. 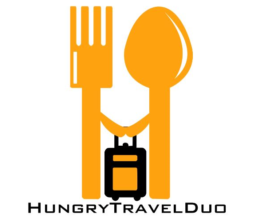 We had an absolutely great experience and we would definitely go back again.